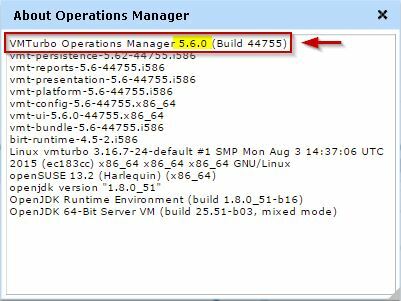 VMTurbo released Operations Manager 5.6 that includes a turnkey integration with private cloud platform ServiceNow and ships significant performance improvements. Version 5.6 improves the user interface for a better understanding of the environment and the VA can be updated in online or offline mode. New features have been added to the new release. 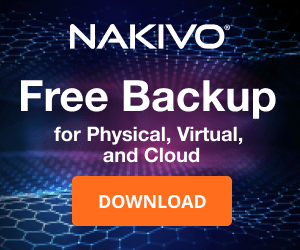 VMTurbo added a turnkey integration with ServiceNow adding a real-time placement decisions with a plugin that interact with VMTurbo instance. 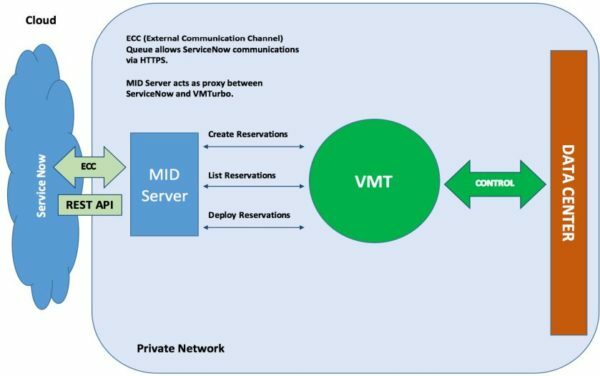 This way VMTurbo capability can determine best host and datastore to place VMs by understanding the current as well we future resource demand. 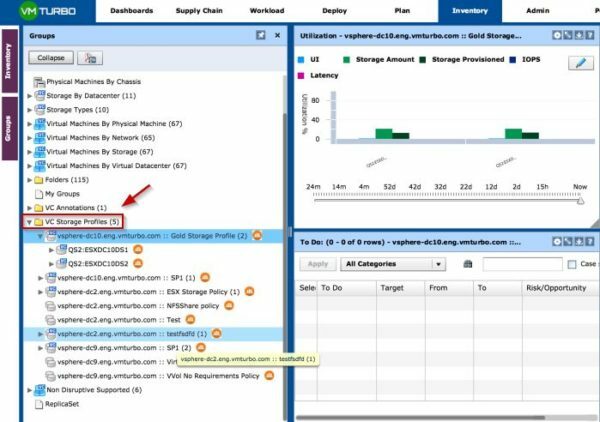 VMTurbo can tells you if sufficient resources are available while reserving capacity for future projects workloads. 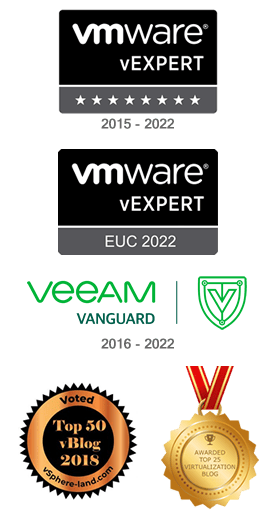 VMTurbo extends its control beyond JVM platforms to any generic Java Virtual Machine (JVM) providing visibility into metrics like heap utilization and garbage collection within your Java applications. This metrics allow scaling decisions to assure performance while increasing your environment’s utilization. 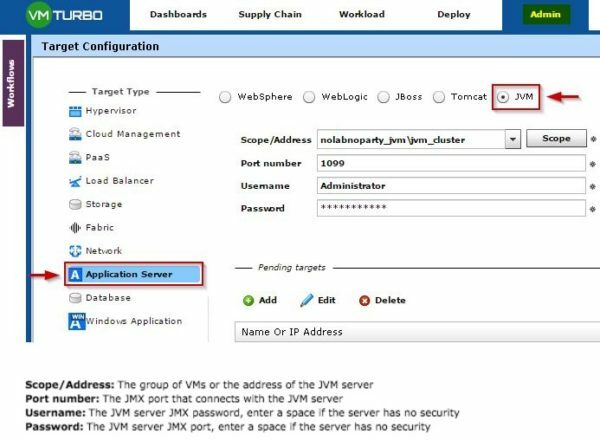 This feature can be used by any JVM with remote JMX enabled. Enhanced fabric market abstraction leads to improved system performance and reduced fabric utilization. 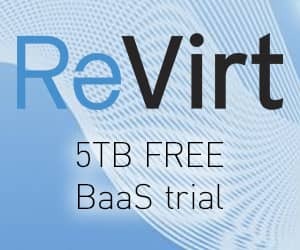 The Fabric infrastructure increases VMTurbo’s ability to take informed workload placement decisions, which drive your environment to an even healthier state. 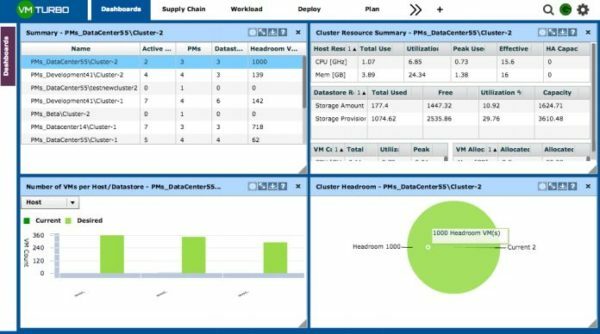 Based on port channel utilization, VMTurbo will tell you whether you should add a new port or remove one in order to achieve the best performance of your applications. By providing increased visibility into your Apache CloudStack environment, VMTurbo can now dive deeper into your data center’s configuration and constraints. 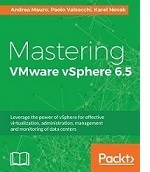 Version 5.6 discovers and adheres to CloudStack anti-affinity policies. Actions are now executed directly via CloudStack rather than through the hypervisor. More accurate plan results with your individual storage and host profiles. It is possible to create, modify and share custom profiles in the Green Circle community. Summary of actions in the plan report. Instance visibility when using Aggregation. Before upgrade, you need to identify if openSuSE (default) or Red Hat is the architecture of your VMTurbo Server to download the correct upgrade file. 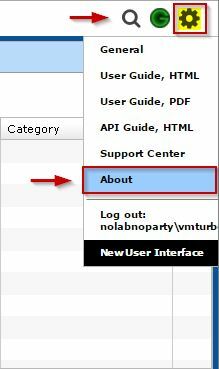 To identify the distribution and version in use, login in VMTurbo and select Settings icon > About menu. 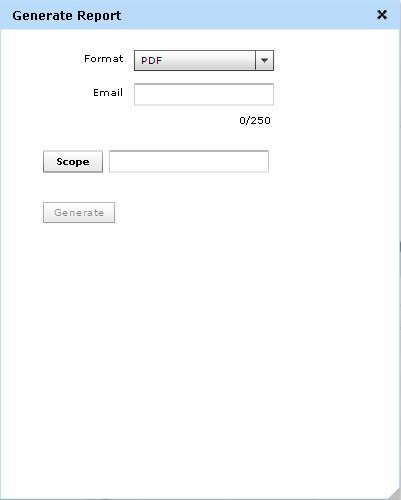 In the About Operations Manager window identify the installed release. Check out this guide to perform an offline upgrade. 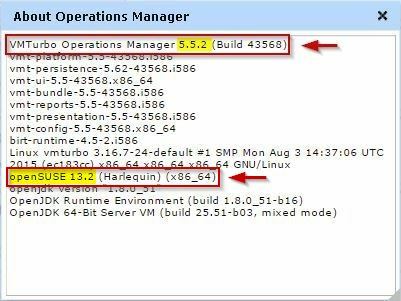 Additional information about VMTurbo Operations Manager 5.6 can be found in the Release Notes.